Ali joined the BSP on Saturday in the presence of the party's national general secretary Satish Mishra in Lucknow. BENGALURU: JDS leader and Karnataka Chief Minister H D Kumaraswamy Saturday termed party general secretary Danish Ali joining Mayawati-led Bahujan Samaj Party, as a "political arrangement" between the two parties. According to JDS sources, Ali is likely to contest Lok Sabha polls from Amroha in Uttar Pradesh on a BSP ticket as JDS has no presence there, his home state. "Danish Ali, the JDS General Secretary, has joined BSP in consent with me and our national president Sri HD Devegowda in a purely political arrangement between the two parties." 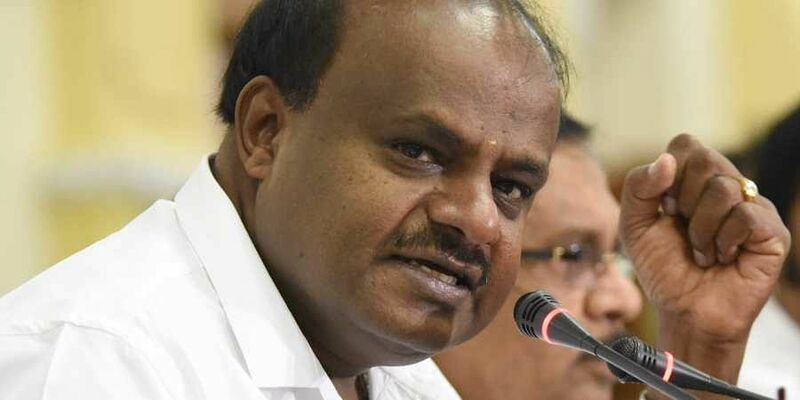 "It is a thoughtful political decision taken by #JDS and BSP to win more seats in the Lok Sabha elections," Kumaraswamy tweeted. Ali as JDS' general secretary on Wednesday had successfully hammered out a seat-sharing deal with Congress President Rahul Gandhi, according to which Congress will contest 20 seats and JDS eight, in Karnataka. BSP had fielded candidates in 18 constituencies in the May 2018 assembly polls in Karnataka as per the alliance arrangement reached with JDS), which contested in 200 seats and won 37. N Mahesh is BSP's lone MLA in Karnataka, who became primary and secondary education minister in the Kumaraswamy cabinet before he quit in October last year. BSP has decided to go it alone during Lok Sabha polls in Karnataka and plans to contest for all the 28 seats in the state.